The South Indian derby is set to be on fire this season. With Mohd. Rafi changing ends and a lot of new faces donning new jerseys, we take a look at how Chennaiyin FC and Kerala Blasters are set to operate. Chennaiyin, the second-most successful club in the Indian Super League history, will look to reclaim their lost pride in the nascent season. With club legend Marco Materazzi calling time on his ISL career after missing out on a semi-final berth last season, the Marina Machans were facing an identity crisis. Club owners Vita Dani, Abhishek Bachchan and Mahendra Singh Dhoni have convinced former Premier League manager John Gregory to end his 31-month managerial hiatus to pick up where the Italian had left off, thereby handing the club a much-needed identity boost. With Bengaluru and Jamshedpur both joining the league, Chennaiyin now faces a mounting task to be as successful as they were during Materazzi’s tenure. However, their new English manager’s promising to bring success back to the club has instilled hope in the Chennaiyin fans. 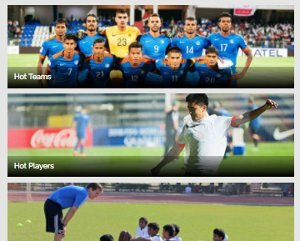 With the Marina Machans entering the ISL Player Draft as the 10th team, they missed out on numerous gems such as Eugeneson Lyngdoh and Anas Edathodika. However, with the club’s decision to retain personages Jeje Lalpekhlua, Karanjit Singh, Anirudh Thapa and Jerry Lalrinzuala, they have managed to concoct a decent-looking side. Despite their bringing in Dhanachandra Singh, Thoi Singh and local hero Ganesh Dhanapal back, their efforts to re-sign Marina Arena favourite Jayesh Rane, Harmanjot Khabra and Mehrajuddin Wadoo were thwarted by ATK, Bengaluru and Mumbai City respectively. The club added experience, talent and promise during the ISL Player Draft with 35-year-old Mohammed Rafi, under-23 international Germanpreet Singh, 53-lakh midfielder Bikramjit Singh adding different yet equally decisive elements to the side. Additionally, they have also brought in Goa trio Fulganco Cardozo, Keenan Almeida and Francisco Fernandes for a combined 70 lakh. Goalkeepers Pawan Kumar and Shahinlal Meloly have also been brought, with the latter costing them only as much as their cheapest pick, 8-lakh defender Sanjay Balmuchu. Additionally, they have confirmed the signings of established players Inigo Calderon and Raphael Augusto. With a few more top-class signings, Chennaiyin may have a genuine crack at the ISL title. With an Englishman replacing an Italian, one can expect Chennaiyin to adopt a new tactical system. The club’s philosophy is also all set to undergo major changes as Materazzi’s win-at-all-costs approach will be binned in favour of win-fair-and-square attitude. Materazzi’s insistence on boasting a solid backline will, however, will prevail as the former Aston Villa tactician has been known to be a defense-first coach. The Italian pulled no punches during his time as the Chennaiyin manager as his animated self often lashed out at his personnel from the touchline. His replacement holds similar traits as he has been known to be moody, strict, hard to impress and unwilling to deal with those who step out of line. However, he is easily a better motivator than his predecessor as he guided a less-than-stellar Aston Villa side to two consecutive sixth-place finishes in 1998-1999 and 1999-2000 on top of an FA Cup finals in 2000. 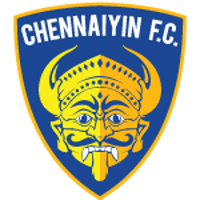 Given the signings Chennaiyin have made so far, it is easy to conclude that midfield will be their strongest asset; it is not surprising, too, as his Villains side featured big names such as Darius Vassell, Paul Merson and Gareth Barry. Their defence currently looks passable, but bringing down a player who is as good as Bernard Mendy had been in his three seasons in Chennai would make a solid defensive outfit. Gregory’s peak saw him espouse 4-4-2 with Aston Villa, with first-choice strikers Julian Joachin and Dion Dublin both combining to score 47 goals over two seasons. They have only brought down two strikers so far, though, one being a washed-up former Indian international. With Lalpekhlua’s involvement now a certainty, he may be on the lookout for his strike partner, and anyone whose name is not Dudu Omagbemi will likely help him recreate history. Sachin Tendulkar-owned Kerala Blasters had a delightful time in the ISL draft 2017 as they spent smart and managed to put together one of the finest squads in the league. 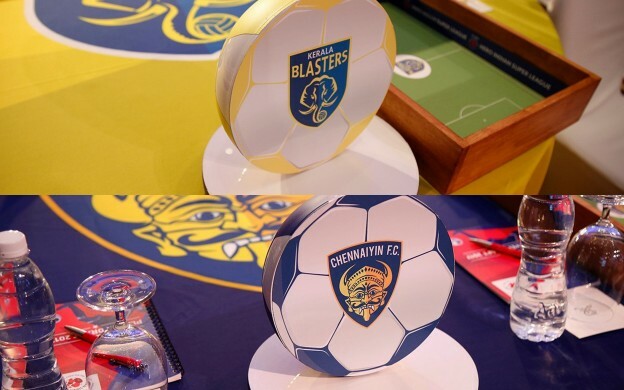 The Blasters, who finished as the runners up in last year’s Indian Super League, looked particularly interested in attacking players in the draft. However, they also went for defensive footballers and were able to put up arguably the best defensive figure of the league this year. Rene Meulensteen, the newly appointed head coach of the Kerala franchise, is widely known to be an attack-minded coach since his Manchester United days but also have a knack for solid central defenders which helped him along his way at Fulham and Brondby. Although he never lasted more than a year at any club other than Manchester United in the last 10 years, it will be interesting to see how he performs in his new managerial job at the helm of the Kerala franchise this year. The former Manchester United coach is also known to be a fine nurturer of young talents in world football, under whose guidance players like Cristiano Ronaldo and Danny Welbeck prevailed. With players like CK Vineeth, Lalruatthara and Karan Sawhney at his disposal now, it will definitely be an exciting ISL season for the Yellow Brigade fans in the days to come. The Kerala franchise was destined to put together a great squad even before the draft as they retained two of India’s finest in CK Vineeth and Sandesh Jhingan. Vineeth, who is currently being held as one of the best wide players as well as a goalscorer was offered a lucrative deal to sign for his local team. On the other hand, Jhingan became the most expensive defender in ISL this year by signing a contract worth of Rs. 1.2 crores every season. Securing the services of two of Bengaluru FC’s most dependable last season, the Blasters entered the draft confidently. The Kochi-based franchise began their draft session by picking up prolific full back Rino Anto. This was followed by the Blasters roping in former Aizawl FC’s title winning versatile defender Lalruatthara who displayed one of the most impressive performances in the Mizo team’s I-League winning campaign. Former Mumbai FC young striker Karan Sawhney and former East Bengal winger Jackichand Singh also joined Rene Meulensteen’s ranks. The Yellow Brigade also secured the services of former Leicester City striker Iain Hume, who is the all-time high scorer of the Indian Super League and is heavily loved in the Manjappada. The Canadian striker started his ISL career with Kerala Blasters in the first season but joined the Kolkata outfit ATK for the next two seasons. However, amidst all the managerial changes across the ISL, the 33-year-old is once again back with Kerala Blasters and will ply his trade donning the yellow shirt. Blasters’ other recruits consisted of the likes of Milan Singh, Arata Izumi, Subhasish Roy Chowdhury, Prashanth K, Siam Hanghal, Lalthakima, Pritam Kumar Singh, Samuel Shadap, Loken Meitei and Ajith Sivan. With former Manchester United coach Rene Meulensteen at the helm, one can easily expect the Kochi-based side to play an attacking brand of football. The 53-years-old head coach is known for his wide attacking gameplay, with a solid centre forward partnership in the heart of the defence. With a lot of pace instilled in the squad with CK Vineeth, Jackichand Singh, Karan Sawhney and Iain Hume all at his disposal, Meulensteen has more than enough firepower in his team to score goals as well as to chase the ball when dispossessed up front. The Yellow Brigade has managed to put together one of the best defence in the country after securing the services of Sandesh Jhingan and Lalruatthara at the heart of the defence. The full back positions are likely to be covered by Rino Anto and Pritam Kumar Singh, both of whom are able to compliment the squad defensively. Lalruatthara, a 22-year-old centre back, is known for his shielding prowess and will be a real delight especially when Sandesh Jhingan goes up to join into the attack, a trait which he has done often in the past for both Bengaluru FC and the Indian National Team. 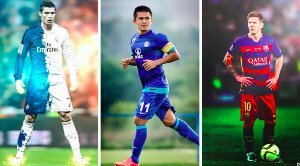 Kerala Blasters’ midfield worries are also set to be over after the draft pickings of Siam Hanghal, Milan Singh and Arata Izumi. 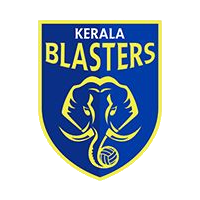 Considering the Blasters’ conceding record and the head coach’s trait, it is likely that the Kochi based franchise will be playing with a solid defensive midfielder, either of Siam Hanghal and Milan Singh. Former ATK man, Arata Izumi also looks like to be a sure starter under the recently appointed coach, to ply his trade in an attacking midfield role. The No.10 is known to be a huge part of Meulensteen’s game plan from the past and will be a vital piece of the puzzle for the Dutch coach. Izumi will be expected to rotate the play as well as distributing balls around him, which will be the backbone of the team’s attacking play. The Japanese born midfielder will also be expected to keep a supply line open from deep down in the midfield to the strikers and wide players. If enacted successfully, this will ensure a steady amount of goals and points for the Blasters in the forthcoming ISL. As for the wingers, CK Vineeth and Jackichand Singh will have a very important job to execute. An attacking formation such as the 4-1-3-2 needs two very active wingers to perform, who are supposed to provide ample of crosses in the box for the strikers to turn it into goals. However, they will also need to cut into the midfield, either to contribute in the forward runs or to join the defensive players to defend against counter attacks. It might look like the strikers of the team will only have one task at hand, to score goals. Although, Hume not being an out-and-out striker primarily will see him come down to collect the balls as well as join in the defending procedures. Hume has displayed these kinds of performances donning both the Kerala and Kolkata jerseys in the past and is not likely to change in an advanced role than his usual free role up front. Sawhney, on the other hand, should play as a secondary striker who will collect balls from the midfield and provide it to Hume, the No.9. However, keeping tabs on Hume’s roaming nature, the young striker might also play as a target man for the Blasters where it will be his duty to score goals if the moment arrives and Hume is unavailable to don the role.